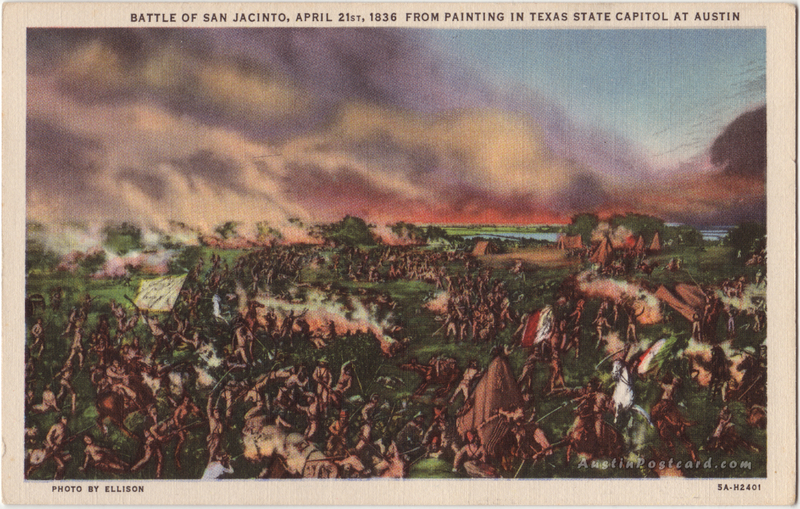 Text on Back: Battle of San Jacinto, April 21, 1836, 16th decisive battleof the world. Texans — 2 killed, 23 wounded. Mexicans — 630 killed, 228 wounded, 780 captured. Battle lasted only 18 minutes. Won Independence for Texas.